Unfurling, complex, delicate, fragrant, graceful. 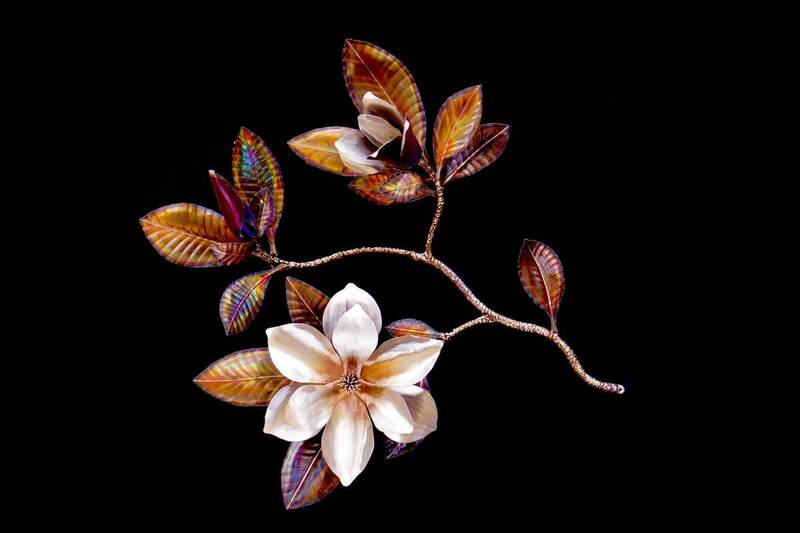 This wall hanging magnolia branch sculpture is made entirely of stainless steel. 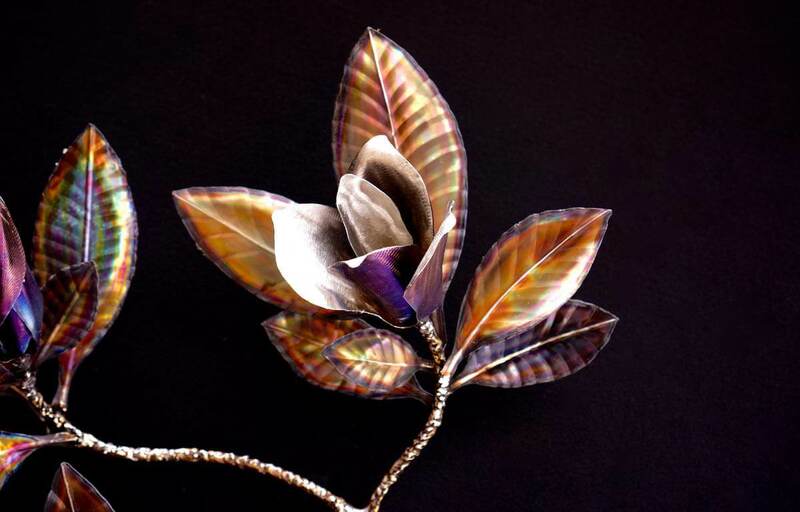 It was fun to try and replicate the magnolia flower in full bloom, opening and closed tightly in a bud. Capturing the brilliant purple on the outside of the petals while keeping the bright soft white and gold interior was a challenge but ultimately really made these blossoms pop. I also love how the darker leaves created a backdrop to help display the flowers. 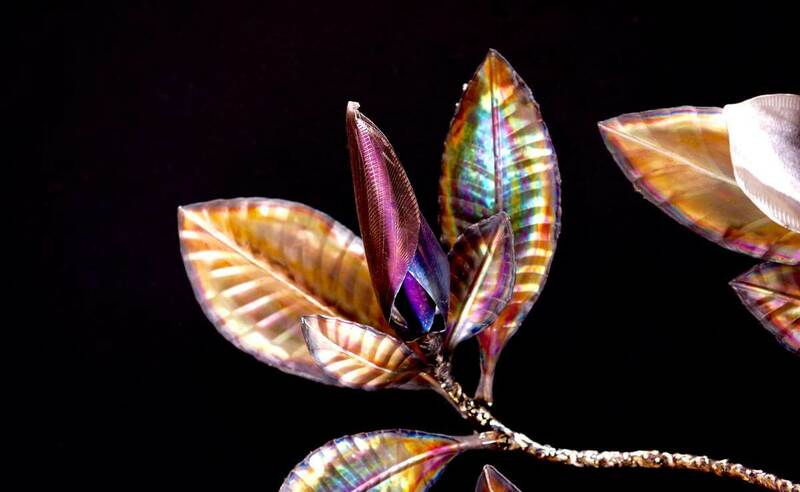 Creating the bark on the branch was a fun process that consisted of building up weld and then grinding it down, coloring it and then repeating this process to layer colores and textures. I feel this sculpture ended up having a nice balance of color and texture. I hope you enjoy! 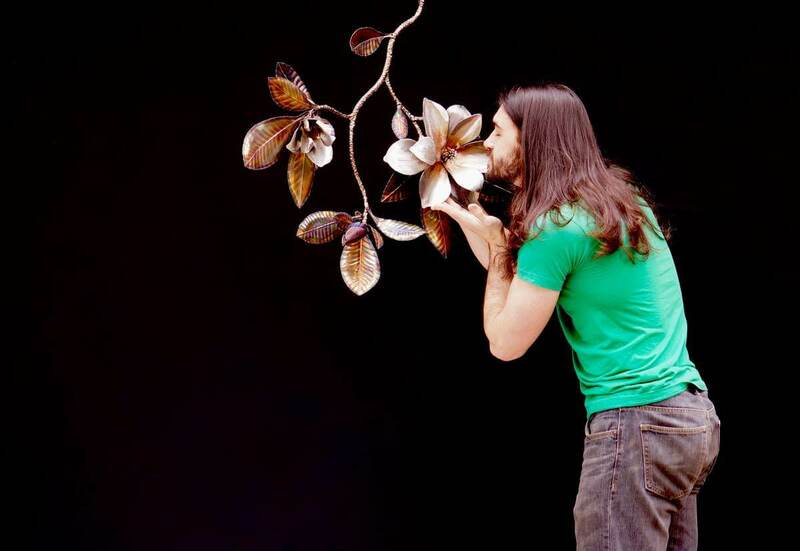 This sculpture must be kept indoors. Open magnolia flower close up. 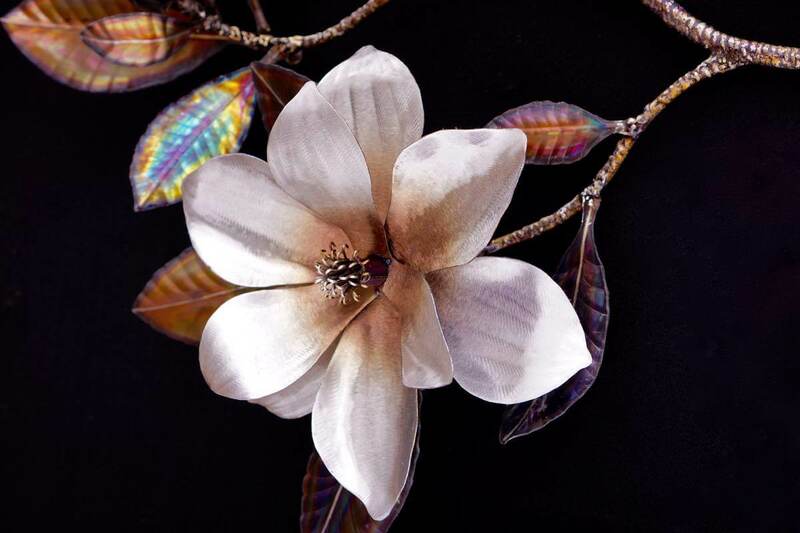 Opening magnolia flower close up. Magnolia flower bud close up. 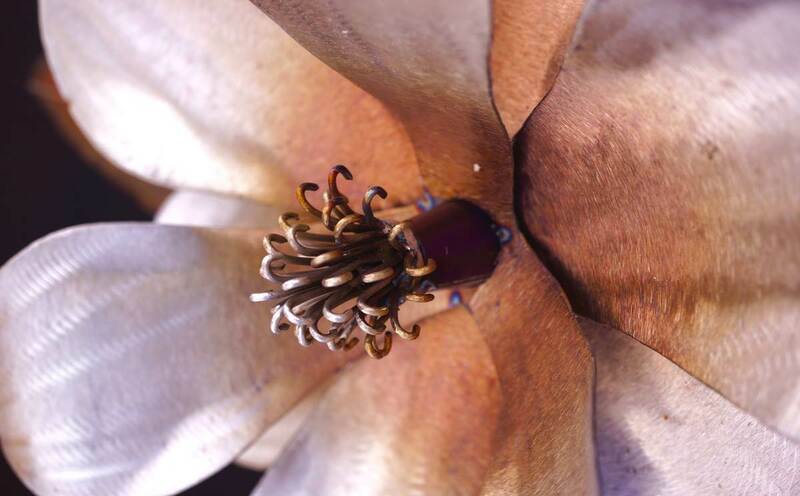 Close up of magnolia flower stamen. 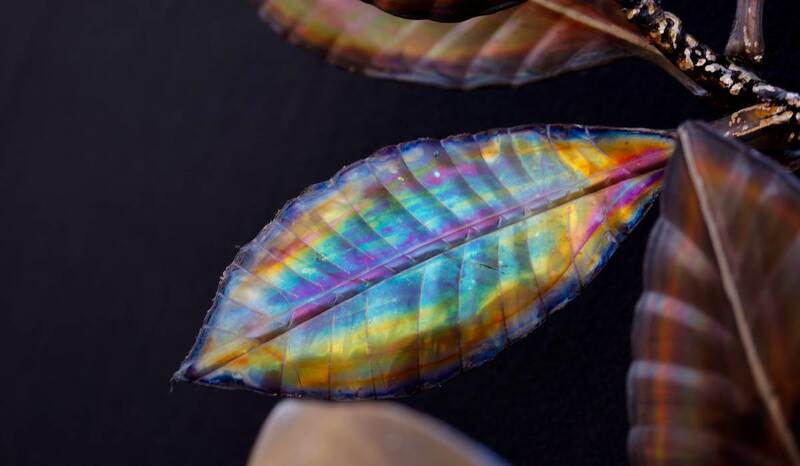 Close up of magnolia leaf. 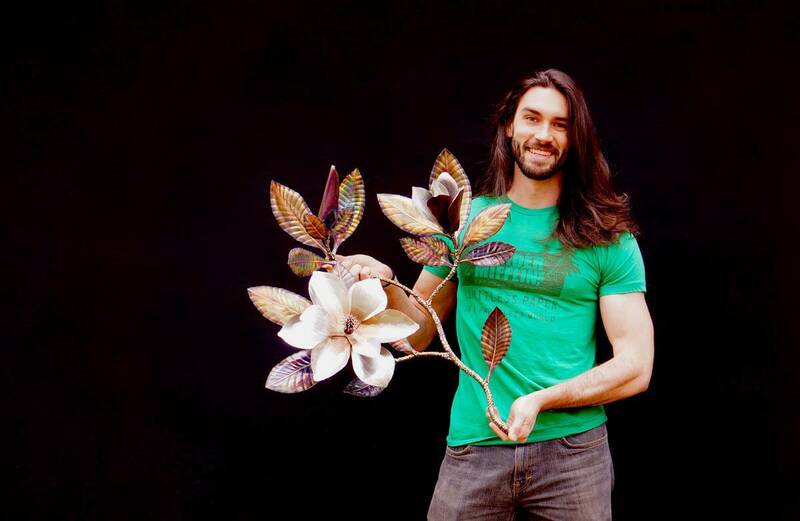 Artist Aiden Dale with metal magnolia branch sculpture.